Nominated for 2018 "Comedienne of the Year" thru Church Stars Network, and was a feature on the "Coming to the Stage" segment of Get Up Mornings with Erica Campbell & Comedian Griff. 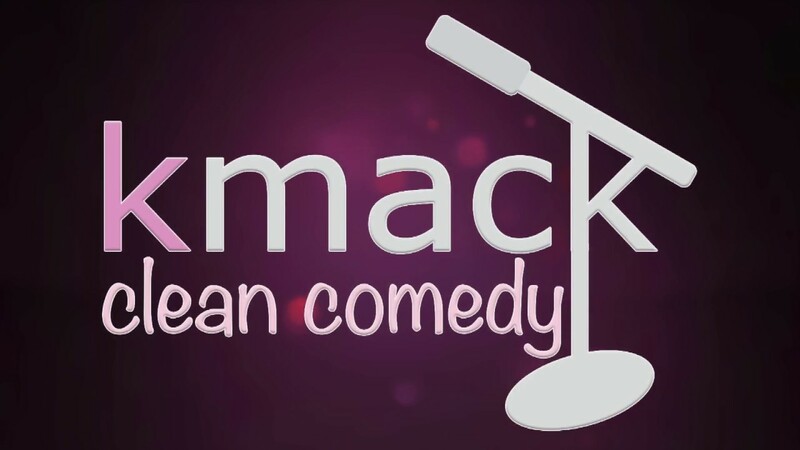 K-Mack provides CLEAN COMEDY & CLEAN CONTENT, can HOST or perform a 5-15-30 min comedy set, and is ACTUALLY FUNNY. Book the Comedienne with the BIG HEART who gets the BIG LAUGH'S coming straight from Wilmington, DE! K-Mack did an excellent job providing our congregation with a clean comedy set! Thank you for blessing us with your gift! Laughed until tears flowed and my stomach ached. I hired KMack for a luncheon at my church and she was fabulous. She had everyone laughing. She arrived early and we had a great time. KMack was on time & hilarious. She truly blessed our souls with laughter. My guests are still laughing from Saturday, May 6. Kadreana Mack did clean comedy and was funny from beginning to the end. I will use her again and again. Already referred her to another organization! Thank you K Mack for feeding our souls. 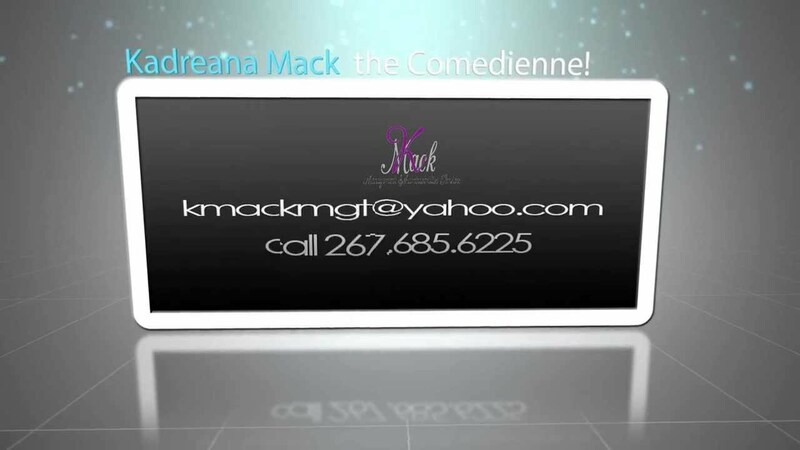 KADREANA MACK IS AN AMAZINGLY GIFTED COMEDIENNE!! I’ve worked with many who were gifted and talented but none as awesome as Comedienne K Mack. From the initial point of contact at the 9th hour I might add, K Mack was very pleasant and accommodating. She assured me that all would be well with the entire event, not just her comedy. She has a very sweet and humble spirit and everyone with whom she spoke to at the event had nothing but great things to say about her. As for her comedy, well she had us all CONSTANTLY laughing to the point of tears and some even fell out of their seats rolling with laughter. She took the time to get familiar with the audience prior to going on stage which to me showed just how much she is committed to ensuring every event is a great experience for all in attendance. We were truly blessed to have her give a special performance for Diron Dorn’s CD Release project and are so looking forward to a long term relationship with many more opportunities here at Covenant Life Ministries! I absolutely love to laugh, but her clean comedy blew me away! She was so funny, I can't wait to see her again!!! Chinara....why am I just now seeing this? Thank you so much for your kind words. It was such a blessing to see you, and I'm so glad you had a great time!! Kadreana Mack kept the audience laughing! We where blessed. We are looking forward in asking you to come to some of our future events. I had the chance to work an event with this young lady and I must say it was one of the most enjoyable evenings ever. K-Mack is one of the most talented and gifted comediennes out there. She had the audience on the edge of their seats waiting on the next joke. I would recommend her to any promoter who's looking to have that BIG event. Kadreana was hilarious. My guests really loved her and requested info to book her for their events as well. She is real personable and down to earth. Comedienne K Mack hosted our Christian Singles Banquet in April 2015. Absolutely hilarious! We are still laughing about a couple of her jokes. She made the event very special and accommodated all our requests. As a person, she is very friendly and professional. It was great working with her and her team. Her services are affordable as well. You will not regret hiring her! Kadreana is one of the funniest comedians I have worked with. Her delivery, punch lines, and style is unique and second to none. It is good, clean humor that is great for everyone. Warning! Just don't have a mouth full of food when she is performing. KMack is the best! She is witty and funny. A great addition as a hostess and comedienne to any event! Expect an interactive "Clean Comedy" routine that's great for the entire family! Comedienne KMack performs clean comedy, and proudly represents Wilmington & New Castle, Delaware. She has been nominated for 2018 Comedienne of the Year thru Church Stars Network, was the winner of the 2016 Apprentice of Comedy Award presented by Living on Laughter Gospel Comedy Association, and was recently interviewed on the 'Coming to the Stage' segment on the Get Up Morning show with Erica Campbell & Comedian Griff. Her comedy career began in July 2010 when a friend (Chanelle Sibert) urged her to participate in a local comedy show. People really enjoyed her humor, and the way she that she connected with the audience. Every since then she's been growing in her gift daily, and learning how to cultivate & encourage others through comedy. KMack is a proud member of The Resurrection Center in Wilmington, DE where her Pastor is Bishop S. Todd Townsend. Her manager is her 10 year old daughter, Carrie Lynn, who is her heart. KMack is an advocate for single mother's, entrepreneurs, and anyone of LARGER FAITH! She is the CEO of KMack Management & Administrative Services, and is well known for successfully facilitating "Gospel Mondaze" at WARMDADDY's in Philadelphia for five years. She has had the pleasure of sharing the stage with esteemed comedians such as Hamburger, Joe Recca, Griff, @NotKarltonBanks, Dante Carter, Charles Walden, and the honor to host the "Never Should Have Ate It Comedy Tour" with the King of Christian Comedy, Chris Clark. If none is available WE WILL STILL HAVE FUN!!! The material is already put together, but at times may be customized toward the event. Sinbad, Hamburger, King of Comedy Chris Clark, BLT, Dante Carter, and so many more.